Richard Gray's Power Company (RGPC), a US-based manufacturer of AC power products, announced a new lineup of performance-enhancing solutions for residential and commercial applications. Designed to provide powerful insight, intelligence and protection, the IPAC-8 Remote IP Power Management System is one of the newest products to the RGPC line. • Read more AC power product news from HomeTheaterReview.com. • See reviews in our Power Component Review section. The first of its kind within the RGPC line, the IPAC-8 provides IP-addressability and associated remote monitoring capabilities and delivers a safe, clean power environment that enables connected devices to perform better. 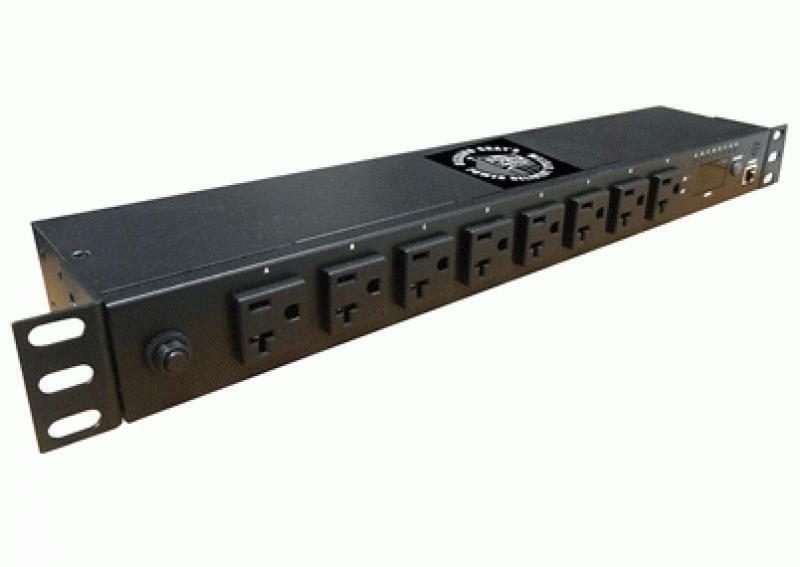 Designed for virtually any residential or commercial environment or application, IPAC-8 features on/off remote (IP) control of 8 individual AC power outlets and local monitoring with an easy-to-read RMS current meter display that provides a quick visual indication of the load, reducing the risk of overloads and tripped breakers. On/off sequences can be defined, and power can be remotely monitored via meter, web or RGPC's free bundled software, and Http, Https, SNMP, DHCP, and UDP protocol is supported. The system also includes user-defined alarm thresholds for warning and overload, and event alerts can be delivered via email, trap, or audible alarm. IPAC-8 is quick and easy to install and requires no additional mounting hardware. Because IPAC-8 is also ihiji invision compatible, there are no port forwarding or extensive network configuration requirements. It features a space-saving design that provides 1U rack or wall mount options and is backed by a three-year warranty. Available now to integrators, retailers and end-users anywhere with 120Volts, 50/60 HZ service, IPAC-8 carries a price of $1,000. Richard Gray's Power Company Adds IP-Addressable Power Management Solutions The Richard Gray Power Company has introduced a new power product that offers a whole new level of control and is a first for the company. This new product is the IPAC-8 power management system. Nordost Introduces New Red Dawn Power Cord Nordost is shipping the newest addition to the company's power cord offerings. The Red Dawn power cord promises many feats of engineering that will enhance your systems performance.